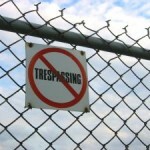 In general, trespass is a misdemeanor under Florida law. 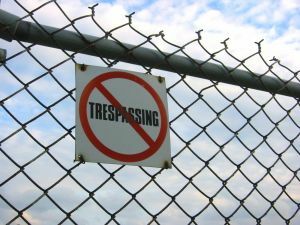 A trespass may become a felony under certain circumstances, but for the purpose of this Florida criminal law article, we will only be considering misdemeanor trespass. The pertinent criminal law for trespass is Section 810.09 of the Florida Statutes. 1. As to which notice against entering or remaining is given, either by actual communication to the offender or by posting, fencing, or cultivation as described in s. 810.011…. commits the offense of trespass on property other than a structure or conveyance…. After seeing the evidence and listening to testimony, the jury was likely instructed as to the law for trespass in Florida, because the jury instructions are always given to the jury at the close of a criminal case. The jury returned a guilty verdict yesterday, and Hoffman was sentenced today. While technically the judge is permitted to sentence a defendant to jail for up to one year for a first-degree misdemeanor, this did not occur. The judge is able to sentence a defendant anywhere from the time that he or she has already served in jail up to the maximum sentence. The judge may sentence a defendant to a term of probation in conjunction with or instead of jail time. The judge may also decide whether the defendant will be convicted of the crime or whether or not adjudication will be withheld. Judge Shore adjudicated Hoffman guilty of trespass. Adjudication of guilt is a conviction. If you are convicted of a crime, you are ineligible for a Florida record seal. Hoffman was given credit for the two days that he served in jail and sentenced to 30 days house arrest. He was placed on probation for 12 months. The special conditions of his probation include 150 hours community service. He is not permitted to go within one mile of the Jacksonville International Airport. There were first amendment concerns surrounding this case. It is important to note that Hoffman has the right to an appeal in Florida. This means that his case is not over. If he appeals the case and it is reversed, he may be entitled to a new trial or a dismissal.